Alec Russell is World News Editor at the FT, and former Johannesburg bureau chief. He was nominated for the 2008 Pulitzer Prize and Britain's Foreign Correspondent of the Year for his reporting from South Africa in 2007. I wonder if you might be able to run me through your history with South Africa. You were originally posted there as a foreign correspondent in the early 90’s. I first went to South Africa in an extraordinary, tumultuous time, just before the end of apartheid. It was May 1993, and no one was quite sure what way the country was headed. So my first year there was spent covering the very traumatic final year of white rule and the rise to power of the ANC, and then I stayed on for another four years covering Mandela’s presidency as a foreign correspondent. I then left and was away for most of the decade, I went back once in the intervening nine or ten years before I returned in January 2007 for a second stint of correspondency for the Financial Times. I was then there for two years with my family, covering the end of the first chapter of the post-apartheid story, the last two years of the presidency of Thabo Mbeki, Mandela’s successor and the rise of Jacob Zuma. I found it was a very interesting and unexpected second chapter, I hadn’t expected to go back. I was in a good position to see how the country had changed and hadn’t changed, whereas people who had been living there all along watching this incremental change had lost sight of some of the things that were happening. I’ve never been to South Africa, but from my reading there is this sense of huge diversity, of having been pulled and pushed into a country by the colonialists – is that a fair thing to say? 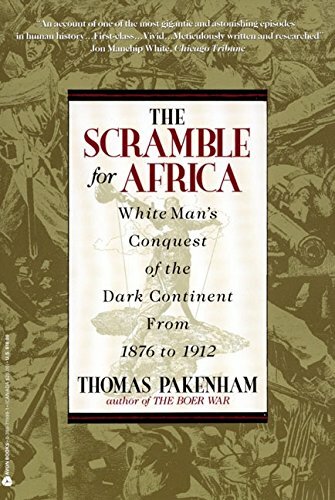 I’m thinking of the book you’ve recommended, The Scramble for Africa by Thomas Pakenham. Well I suppose it was partly pulled together by the British and by the Afrikaners. The British played a major role in the 19th century when the colonial powers were starting to carve up the whole of sub-Saharan Africa. The pivotal event that occurred for South Africa was in the 1860s when they discovered diamonds and then ten, fifteen years later they discovered gold and it suddenly became clear that this was not just another dusty African country, but an immensely wealthy one. In a sense that sealed the fate of the country thereafter, there was this intense struggle for those resources between the Brits and the indigenous people and the Afrikaners who were also trying to carve out a patch of South Africa for themselves. So certainly one can’t deny the role that Britain, and lately the Afrikaners, played in creating South Africa, in creating the boundaries and of course in moving the African people around willy-nilly to suit the interests of the white Africans. What I hadn’t previously realized was the speed that this ‘scramble’ happened with. Pakenham’s book is just an amazing account of, as you say, how extraordinarily rapid the annexation of an entire continent was. It happened over about 20 years, between 1880 and 1900, when Britain and France in particular but also Belgium, Portugal to a lesser extent, and latterly Germany, divided a continent. One moment, in 1880, there was a large part of the continent that was pretty much unknown territory and the next it had all been annexed, and the local chiefs or ruling councils had all been pushed out of the way. I mean, it’s a fairly shabby story, but also a remarkable one. It had pretty calamitous consequences for large parts of Africa, and the debate over the legacy of colonialism continues to rage. While sadly it’s become perfectly clear that some areas of sub-Saharan Africa, like Somalia for example, were better governed under colonial rule than they are now, the fact remains that for most black Africans the advent of the colonial powers was a psychologically traumatizing experience and you can see the consequences of that, I think, still. Certainly in South Africa today the past has not been forgiven nor forgotten. But the Patti Waldmeir book, Anatomy of a Miracle, seems to be an almost grateful account of how well the transition of power went compared to how it could have gone. I think that now that we’re fifteen years into the post-apartheid era and the ANC, which has been in power since the end of white rule, is somewhat fallen away from its high ideals, I think it’s easy to forget how amazing the transition was. It’s easy to forget that in the eighties, when the fight against apartheid was at its height and there were hundreds of people dying in the townships, everyone was saying: This is going to end in a race w And it was very hard to see how the Afrikaner nationalists, who had been in power since 1948 and led by hard, tough men, were going to give up power – why should they? They were in power, they had a very powerful military, and even in the eighties – even as in Britain and in the US people were campaigning against it – the fact remained that despite all the opposition protests and so on, the white military could easily have defeated any number of incursions from the ANC. They could have stayed in power far longer than they did, and Patti’s book brilliantly describes this extraordinary seduction routine that Nelson Mandela in particular played on the Afrikaners. She also brilliantly describes the mindset of the Afrikaners, and how many of them were desperately trying to find some way of retaining a sense of modernity, even decency, while wanting to hang onto power, and eventually that got sort of whittled away. It was an astonishing achievement. Of course there were other factors – it was the end of the Cold War, so the white minority’s great fear of a Communist takeover was diminished. In 1990 when Mandela was released it was a time of great hope throughout the world and everything seemed to be changing. The fundamental, if you want, was that a minority that was entrenched in power relinquished that power voluntarily. They weren’t forced from power down the barrel of a gun, they negotiated themselves from power, and Patti’s book describes that process magnificently. Whatever happens under the ANC, however badly they rule, nothing can take away from South Africa the transition and the brilliance with which it was carried out. It seems Mandela was very wily in his dealings with the white minority. 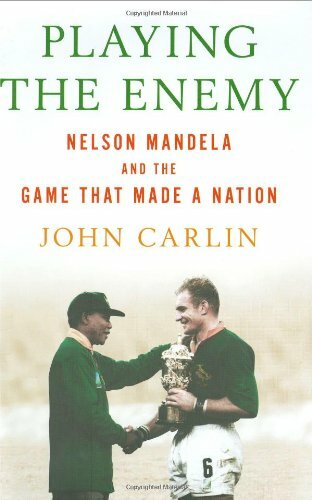 This John Carlin book, Playing the Enemy, describes how he used sport to pull the country together. John Carlin’s book focuses on this extraordinary sporting event, the Rugby World Cup final in 1995. Rugby was, in South Africa, a game primarily for whites. Some black South Africans played, but it was very much a game dominated by the Afrikaners. I think it’s fair to say that for many Afrikaners the belligerence of rugby matches and the physicality of it was what gave them a sense of themselves: a pugnacious race who pulled off any attempts to undermine them and so on. So it was an unlikely game for Mandela to use as a way of binding the nation together, but he did. He recognized that it meant a lot to Afrikaners and so he embraced it wholeheartedly, not just in a slapdash political way – you know, just turning up for a photograph. He made it perfectly clear that he knew a lot about the game, he turned up at the opening match, he gave a ringing endorsement of the Springboks, the all-white national team – I think there was one player of mixed race, who played some of the games, but not all – basically it was a white team supported by the whites and Mandela endorsed it right at the outset of the tournament and the message went through all South Africa. It’s a tribute too to large numbers of black South Africans who were a little bit skeptical about this whole rugby thing, I mean, why in hell should they back this game of the white man? But they followed Mandela’s lead. I remember listening to this amazing radio broadcast; there was a young black woman on the phone who was saying she’d never been remotely interested in the game and then she turned on the television one day and had a look at the big white men running around, throwing this ball, and she suddenly thought, ‘Yes! This is my nation too.’ And that’s what Mandela pulled off. As with Patti’s book, John’s is a moment in time that is easy to forget now, because race relations remain pretty awkward in South Africa. But they were more awkward than they are now and that rugby tournament, and in particular the final when Mandela turned up wearing the Springbok jersey and embraced the Springbok captain, the imagery of that final did a huge amount to reassure white Africans that South Africa remained their home. It was a very, very important moment. I was also going to ask you about Mark Gevissor’s biography of Thabo Mbeki, and the idea that he was there, sort of in the background, for so long, and must have been involved in all of this as well. But he seems to have trouble in being able to tap into the mood of the nation in the way that Mandela could, embracing the rugby team being a case in point. He doesn’t have the same sort of people skills. No, he certainly doesn’t seem to have those people skills. I have to say that I knew him in the mid-nineties and I was hugely impressed by him. It was perfectly clear then that he didn’t have those skills but I think he felt that he didn’t need them – that Mandela’s touchy-feely image was all very well but it was time for a different style of leader. And that he would be that new, different leader. He would be a man that would be an implementer. He would be a man that would focus on transformation, as he called it, and not so much on reconciliation. The reconciliation era of Mandela’s was all very well, but it was time to get to grips with the nitty-gritty of government. I think there was a strong case for that at the time. Not ‘To hell with reconciliation’, because it would be a disaster for South Africa if whites were to leave en masse, given that they still control large parts of the economy, but there was clearly a case when Mbeki took over for a more rigorous style of government and Mbeki seemed to be the best man. 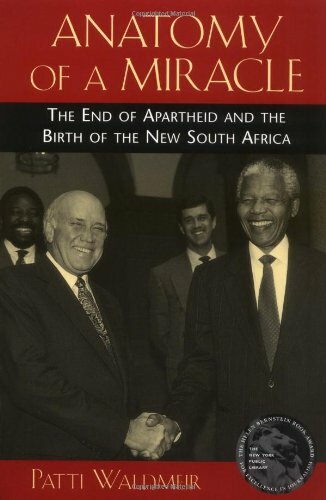 The trouble is he took that impulse to an extreme when he was president, and did end up expounding – sometimes inadvertently but sometimes deliberately – a pretty strong African-Nationalist line which made a lot of whites feel uncomfortable, encouraging the emigration of white professionals, and undid some of the reconciliatory fabric that Mandela had woven. So you’re completely right, he was a very different style of leader and I think that when Mandela was president you could describe Mbeki as having been his prime minister. In some ways they were the perfect combination. You had this statesman, who strode the world like a colossus, and at whose feet everyone fell, and then you had the Mr Fix-it supposedly behind the scenes. Unfortunately the Mr Fix-it had a number of flaws that became more apparent when he became president. It also became apparent that if you are in politics you do need to tend your voters, to tend your supporters and to explain your message. It’s no good to disdain the popular side of politics because ultimately that will be your undoing, and that was one of the lessons of Mbeki’s presidency. What I have felt on reading about South Africa in the run up to the elections is this sense of deflation in the absence of Mandela’s huge personality, and the realization that there are still a lot of problems and troubles in the political sphere. 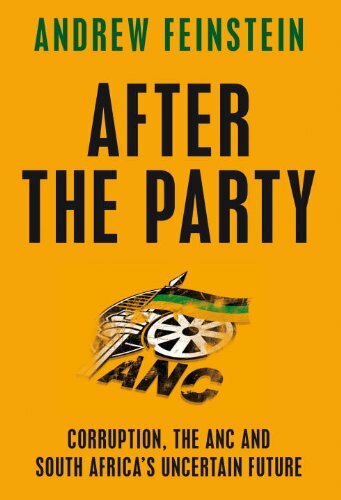 This book by Andrew Feinstein, After the Party, is a sort of exposé of the ANC, is that right? Yes, it’s a poignant story, Andrew Feinstein’s book, it’s very, very powerful. It’s the story of a young, idealistic Jewish South African who is a member of the anti-apartheid movement soon after the end of white rule and an MP for the ANC. He’s imbued with the idealistic visions of how the ANC is going to build a progressive society and how its ministers won’t drive around in Mercedes, but just have ordinary Toyotas, and that the great dream of a government truly committed to serving the people and untarnished by corruption will be realized in South Africa. Then, bit by bit, after a few years, he starts realizing that actually there’s a harsher side to his beloved party. 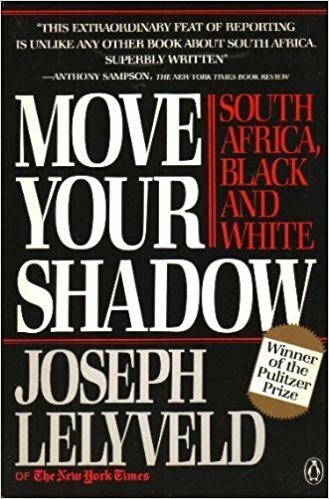 The story he relates is the story of his own disillusionment, but also more specifically it’s the story of an appalling corruption that lies at the heart of many of South Africa’s problems, which relates to a multi-billion dollar arms deal that the ANC in government approved in the late nineties. The particular significance of this billion dollar arms deal is that it came at a time when the country was clearly in need of investing vast sums of money in education, healthcare, housing and so on, and it decided to spend vast sums of money on ships and jets and submarines at a time when no-one could really see where South Africa faced a military threat from. Later it emerged, as Feinstein describes very clearly, that many of the deals were signed with all sorts of bribes and corruption. So his story is the seedy underbelly, I suppose, of the ANC, and it’s a pretty poignant story as a result, alongside this personal story of trying to be this idealistic person. He was appointed as head of one of the parliamentary commissions of enquiry into wrong-doing, and there he was thinking, ‘Well, I’m doing this job, so I should be exposing ANC corruption as well as the opposition parties’ corruption, because that’s my job as part of this enquiry,’ but he was told very clearly by senior people in Mbeki’s circle that this is not the sort of thing you should be investigating. So it’s a very important book. Corruption within the ANC seems to be something we’ve read a lot about with the run-up to the election, and in particular in terms of Jacob Zuma’s candidacy. It seems crazy that a man with such a history can even be in the running, never mind win. Is he just such a winning character that he is able to brush off these concerns? Well he is an extraordinarily winning character [laughs], that’s certainly true. I met him on a few occasions, both before the ANC took power in 1994, and a few years after it, and in those years one of his main roles was to try and reconcile warring factions in the province now called Kwa-Zulu Natal which was deeply troubled; an awful semi-civil war was raging between supporters of the ANC and supporters of the Zulu nationalist movement, the Inkatha Freedom Party. Thousands of people were killed. He was the one with the winning smile, the mellow charm and instinctive feel for ordinary people. He was sent down to reconcile the different factions, and he did it pretty well, he played an important role, and one of the things is that he comes from a very ordinary background. Poor, black South Africans make up the majority of the population; he’s one of them, the son of a police constable and a domestic worker, his father died when he was very young, he grew up in a remote village, he was badly educated. 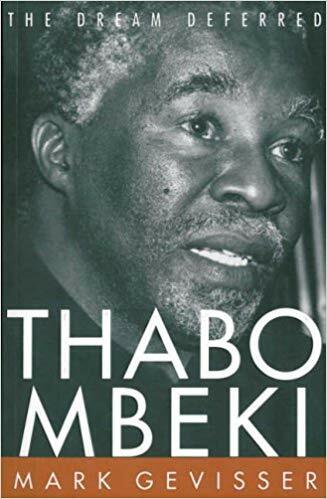 He spent his youth herding livestock and having stick-fights with his contemporaries and so on, so there’s nothing elitist about him, unlike Thabo Mbeki, who’s a very much the product of a middle-class, university educated clique. So he’s got these winning ways, but nonetheless it’s pretty remarkable, some would say shocking, that the man with so much controversy and scandal in his recent past should become first the leader of the ANC, which he did in December 2007, and then leader of the country, in April 2009, and that tells you all sorts of things. One of them is that the ANC is a very loyal organisation; another is how unpopular Thabo Mbeki had become. A third is that there are many people in Zuma’s inner circle who really don’t care about the impression given to the outside world, or indeed about some of the niceties of democracy. They just wanted their man in place who will deliver for them, so it’s a fairly mixed picture I think. South African politics seems to be punctuated with these larger than life characters. I wanted to mention the Padraig O’Malley biography, Shades of Difference that you’ve recommended. Well that is one of the amazing books that have been written. It’s had less attention than some of the others. 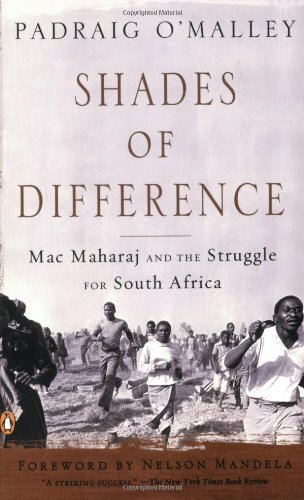 It’s an extraordinary account focusing on one member of the ANC, a man called Mac Maharaj a man I found particularly interesting because at the end of the apartheid era he had a spell in all three distinct strands of the anti-apartheid movement. There were those who were political prisoners, primarily on Robbin Island with Nelson Mandela, there were the exiles who were living abroad, including Thabo Mbeki, and then there were those known as ‘inziles’, the internal movement who were fighting apartheid from the townships. Well, Mac spent time with all three different groupings so he had a fairly unique perspective on all this. The book tells his story and also paints a picture of the ANC as a pretty dysfunctional organization: chaotic, drifting, deeply indecisive, sometimes corrupt, hobbled by its collective tradition whereby no-one seems able to make a decision. That historical perspective is very useful for those who want to understand the ANC now, because I think it’s very easy to have a romanticized view of the anti-apartheid movement and then, as a result, the ANC which was its most powerful voice. It was in many ways a pretty hopeless organization. It had some great, heroic figures who were members of it, but the organization itself was often flawed. Padraig O’Malley’s book gets you into the mindset of the ANC by telling Mac Maharaj’s story, and does a similar thing when Mac goes into government and later gets caught up in a corruption scandal. It’s a remarkable book, addressing some of the same themes as the Andrew Feinstein book, but with more breadth, but less personal, and has astonishing detail of the workings of the ANC. 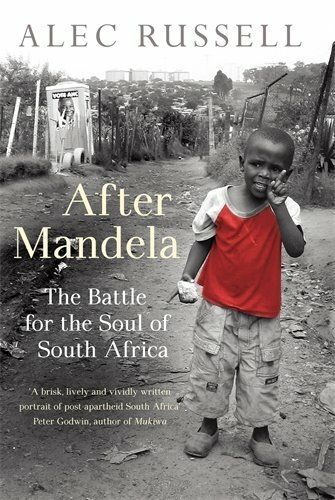 I know you’ve just published After Mandela: The battle for the soul of South Africa. This is the story of South Africa formerly under white rule. It’s a portrait of anti-apartheid South Africa and the stop-start progress it has made since the ANC took over. It’s also something of a warning to the ANC that unless it changes its ways on a number of key fronts pretty quickly the country runs a risk of at best drifting, or at worst slithering in the wrong direction. It’s also a warning to the world to sit up and pay attention, because I think for many people the story of South Africa ended with Mandela’s assumption of power – that wonderful, miraculous moment when apartheid came to an end relatively peacefully and this tall, graceful statesman took power preaching reconciliation. Well it didn’t end there, it was just the end of the beginning, and now we’re deep in the second, grittier part of the revolution which is trying to make the dreams come to reality, and that’s always the hardest part.